After several weeks of playing, analysing, discussing, praising and criticising, our judging panel has finally turned in the results of this year's C64 Cartridge Development Competition! As explained in the scoring section of the competition page, the scores were calculated using mean averages with the highest achievable score being 65 points (if all judges had scored a game 13 points in all categories). I won't bore you with lists and tables of who scored each game what, instead I have listed the games below in order of placing with the final scores and comments. Before continuing I'd like to say a massive 'thank you' to everyone involved - 2012 was another fantastic year for C64 gaming because of your work and dedication. I can only hope that you'll be back again for another round in 2013! (Note that in the following comments I specifically asked the judges to constructively criticise the games submitted - not because they were bad, but because they were all very good! Therefore, although the tone of the comments may seem negative in places, no hard feelings are meant by our panel - the goal of this is simply to point out where (in their opinion) the entries could have been improved. 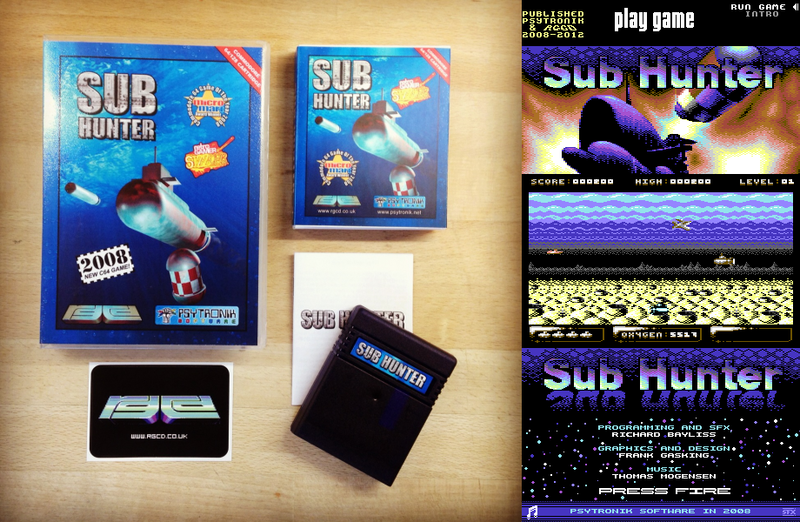 RGCD and Psytronik Software present another collaboration project - an oldie-but-goldie from 2008, Sub Hunter is finally given an update and a long-awaited official cartridge conversion. 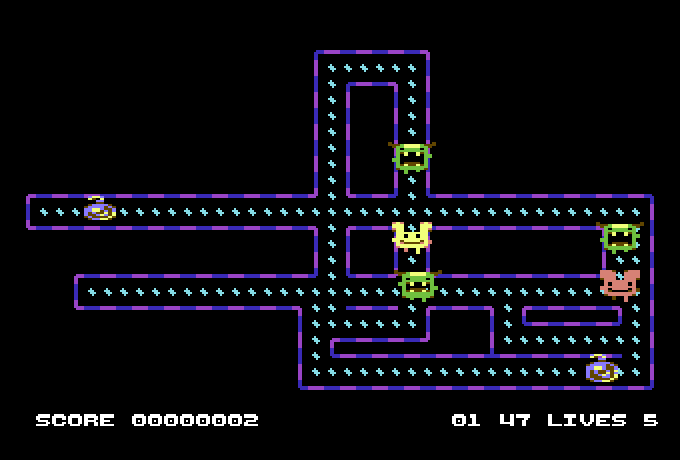 If you've followed the C64 scene for the last few years then the chances are that you have already played this great little game (and if not, well, you are in for some good times ahead, as highlighted in our own review). Sub Hunter is one of the few homebrew titles that has really stood the test of time well, with its varied level-to-level game design always keeping the player on their toes. 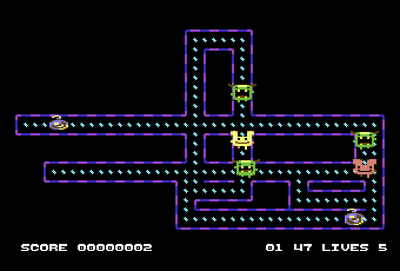 This PAL/NTSC compatible cartridge version of the game features the intro sequence, instructions and main game all included within a GS-friendly joystick controlled menu system designed by Enthusi (Martin Wendt). Some minor bugs were fixed (raster splits improved), but otherwise it is the same as the previous version without the minor hassles associated with using disk or tape media. 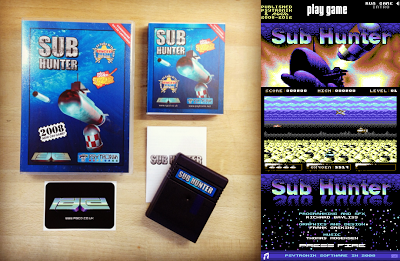 Sub Hunter is available in two packaging types, a standard card carton and a more expensive 'deluxe version' that comes in a plastic case (a Universal Game Case with a specially cut foam insert to hold the cartridge). The standard version is priced at £25 inclusive of UK/Europe shipping, and £26 for the rest of the world, whereas the deluxe version costs £30 (UK/Europe) and £32 (rest of world). The game itself comes in a transparent blue cartridge shell internally illuminated by a flashing LED, complete with a printed manual and a vinyl RGCD sticker. Please note that Pystronik Software are also selling the game as a download, on tape, and budget or premium disk for £1.99/£3.99/£4.99/£9.99 respectively (plus shipping). 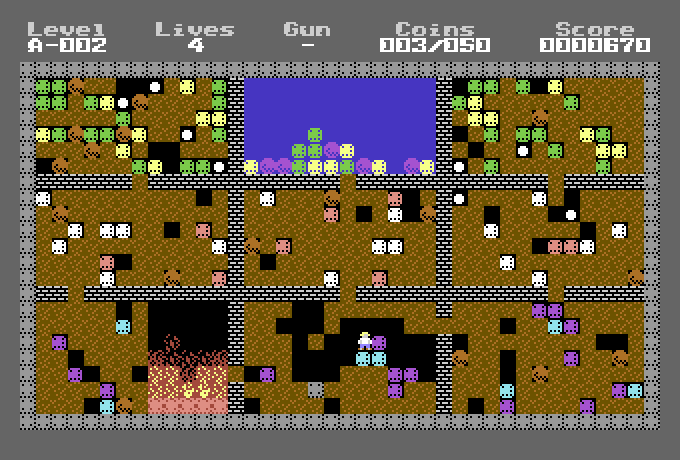 The game is also available (legally) for free download over at the Commodore Scene Database (CSDB). So what are you waiting for? Grab your copy from our shop page today! It's been a year since we last featured Revival Studios here at RGCD, and over the past 12 months they’ve released a staggering number of games across a number of retro platforms. I knew that they were an active publisher, but quite frankly Martijn's little self-run label puts RGCD's own activities to shame, with 12 new games developed in-house for a number of platforms and released this year alone. 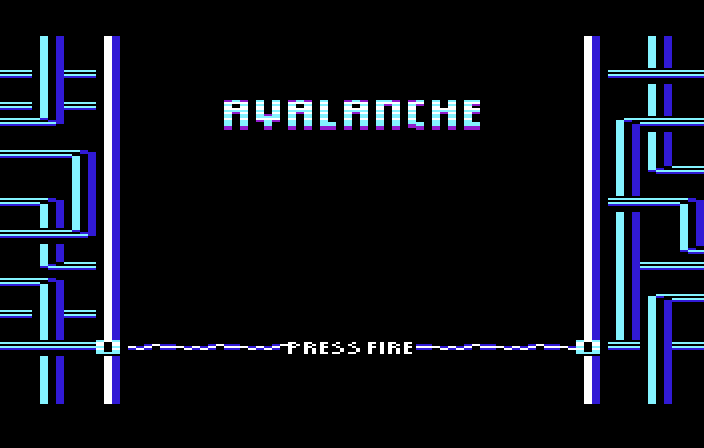 So today we’re going to have a look at Avalanche, a neat little reaction title for the VIC20, PET and ZX81 based on a earlier Revival Studios title (ColorClash), and a game that I should have written about last month when it was still the studios newest release. Years in development and interrupted by several other projects, Locomalito and Gryzor87's long-awaited retro-gaming epic Maldita Castilla (Damned Castille) has finally arrived. A well-researched and meticulously detailed tribute to both 1980's arcade hack 'n' slash coin-ops and medieval Spanish folklore, last year's preview has evolved into arguably one of the freeware highlights of the year, putting many commercial indie releases and official 'retro-reboots' to shame. 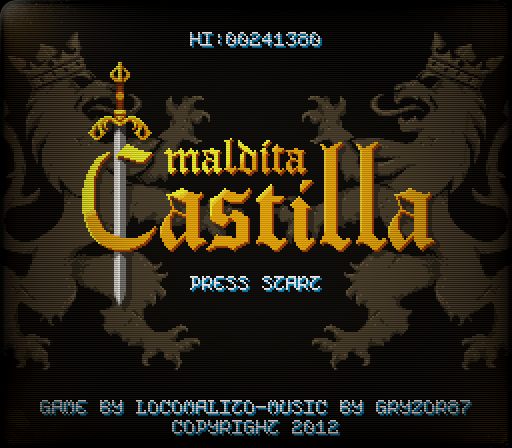 Maybe it's because as a young child I used to be (almost) obsessed with reading up about mythical creatures and beasts, but Maldita Castilla really struck a chord with me – and undoubtedly, the fact that Locomalito has got the arcade machine aesthetics down to perfection also helped. Playing like a combination of the obvious Capcom influences (Ghosts 'n' Goblins / Ghouls 'n' Ghosts / Black Tiger) but with a darker, European atmosphere, the game sees you in the role of a member of the Castille Royal Guard on a mission to free the region of demons and denizens by lobbing a variety of deadly (and at times unlikely) weapons in their faces. 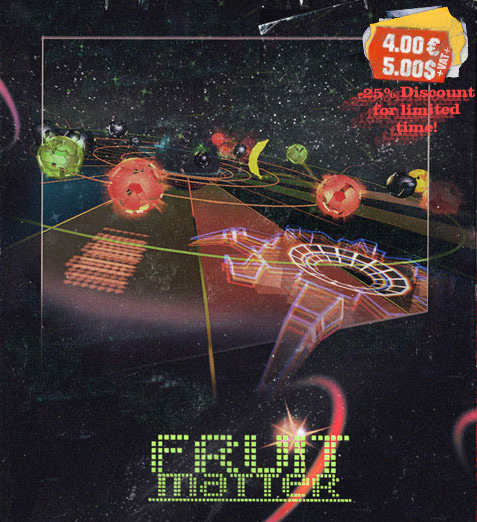 Anything with even a hint of pixellated neon, demoscene-era design cues tends to catch my eye, so I knew at first glance that Fruitmatter was a game I just had to check out. It's not often one comes across an indie arcade shooter that really brings some unique ideas to the table, and this title turned out to be quite the sweet treat in that regard. "Xu's United Nations Tetrad are under simultaneous attack from The Ebil Alliance. All that stands between TEA and the XUNTS is you and your warpships. 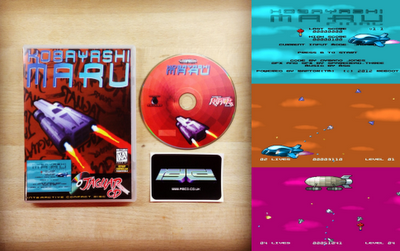 You are the only officer capable of piloting these ships and are therefore the last hope of all XUNT-kind..."
Kobayashi Maru: Final is the first of several proposed Atari Jaguar releases from Reboot to be published in physical format by RGCD. Following our glowing review of an earlier build back in 2011, this version has been further updated and fine-tuned following player feedback for commercial release. 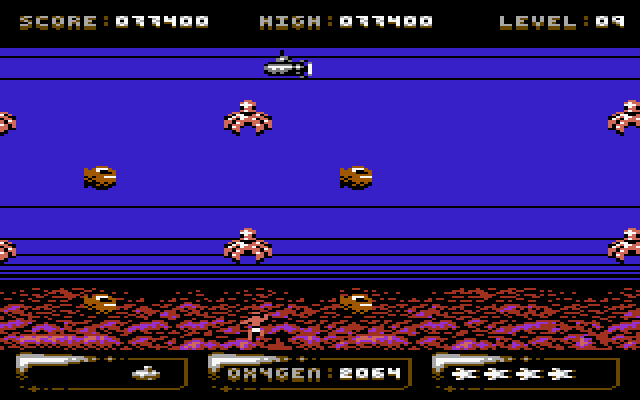 Use your rotary controller (adjustable to allow for sensitivity of your particular spinner) or regular Jaguar pad to steer your warpship in this arcade space shooter, battling countless drones and huge boss craft in ever-tougher waves of attack. 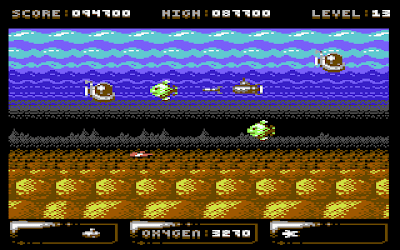 Featuring subtle use of the Jaguar's RMW graphics capabilities, background graphics blend together as you tear around in the upper atmosphere over four worlds. Kobayashi Maru: Final runs at 50/60 FPS (NTSC/PAL) written utilising a version of the new Raptor Engine by Reboot and it can be played with either a rotary controller (such as Chaos Reins, Tyrant or Jonathan Ascough pad) or a regular Jaguar joypad. This retail version features updated graphics, new sound effects, webscores and of course supports Memory Track game saves. The physical copy comes cellophane wrapped in a standard DVD box with full colour printed inlay on a full face printed, glass-mastered CD, direct from the factory (100% professionally produced in the UK). It requires no additional hardware to run other than the Jaguar CD console itself. Priced at £24 inclusive of UK/Europe shipping, and £25 for the rest of the world, Kobayashi Maru: Final is available to buy from our shop page today! The second RGCD C64 Cartridge Development Competition concluded at midnight on the 30th of November with 10 brand new games (and 3 re-releases) for the C64! 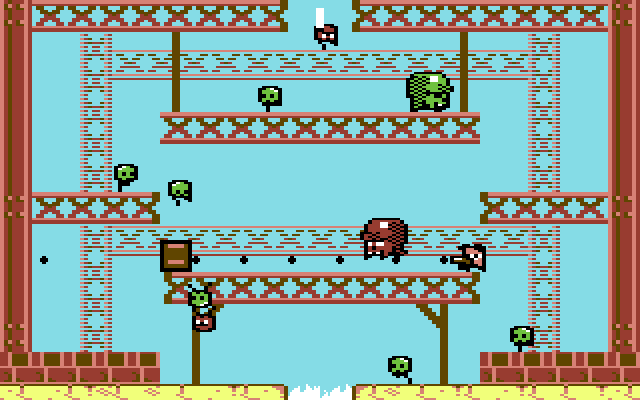 Featuring conversions, original concepts and genre favourites, the last few days have been a frenzy of activity in the C64 scene as a result of the hard work the entrants put into coding their competition games over the past few months. With CSDB already becoming saturated in cracks and re-releases I've put together a brief introduction to each submitted competition entry below, listed alphabetically with links to their original database pages. 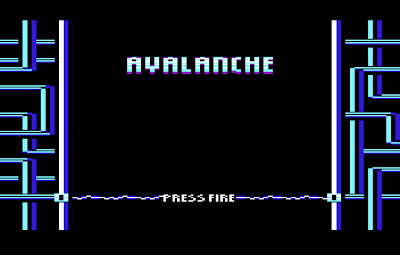 Fire up your C64 or emulator and enjoy! 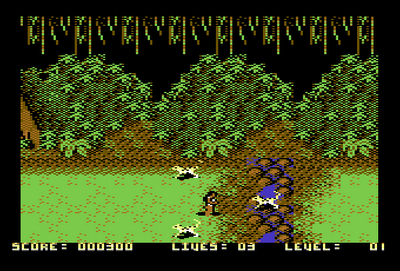 Unfortunately, due to real-life work pressures and commitments with other games, Richard didn't managed to complete his little Amazonian-themed horizontal-shmup, but the preview he submitted was very promising, with atmospheric music, nice graphics and solid gameplay. Richard has already assured us that the game will be finished early next year, and we're really looking forward to the final result of his work. A close-to-deadline entry (but not the closest! ), Enthusi, iLKke and Conrad joined the competition with nothing to show a few weeks back, yet the end result is already a CSDB favourite. A simple yet addictive puzzler based on PhotoStorm's Quartet (by iLKke and Richard Davey), Assembloids is all about assembling faces against a tight timer. Featuring high score verification codes and full screen open-border presentation (on both PAL and NTSC) there's a lot going on behind the simple design. Using player feedback, the team are already finalising a retail version with some nice improvements. Expect to hear more news on this one soon! 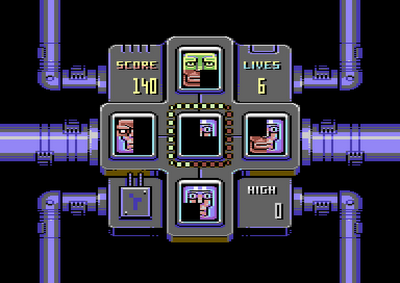 If the competition was about retro design, The Mad Scientist would be at the top of the score board with his fun and extremely challenging Manic Miner clone. It may have been more appropriate for the player character to be a sock escaping the laundry instead of a worm(? ), but the game is already proving to be popular with the C64 old-school gamers over at Lemon64. I personally like the fact that the player character changes height when moving, resulting in the platformer requiring a little more thought whilst playing. Delightfully bonkers. A welcome return to this year's compo (in addition to Endurion's other main contender), the formerly retail-only two-player version of Get 'Em DX is now free to download! Still a firm favourite here at RGCD HQ, it may lack somewhat in originality (being an improved version of a 2011 entry) but nonetheless it is still very much worth a play. 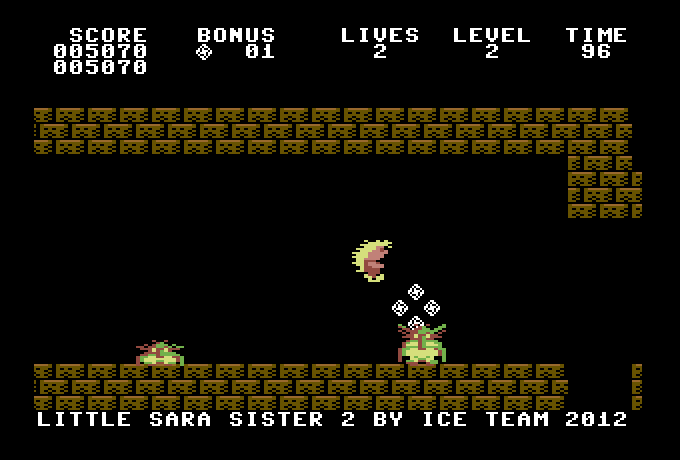 Ice00's 16KB Giana Sisters clone was a welcome addition to this year's line-up, with some excellent music from Dustbin and 15 stages of challenging and enjoyable run 'n' jump gameplay. 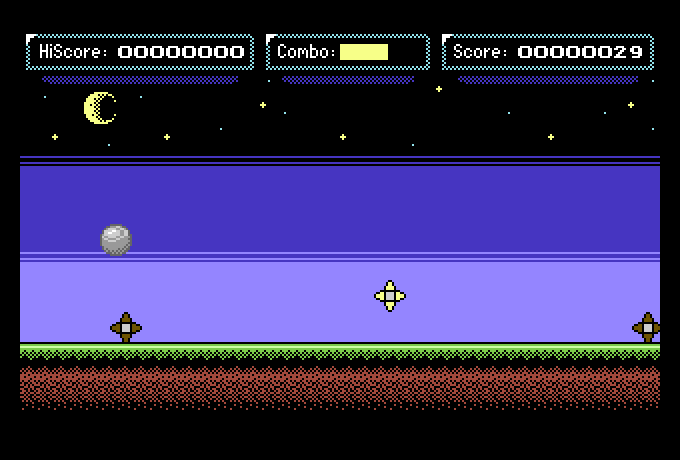 NTSC and GS compatible, featuring a highscore table and even mid-level checkpoints it is clear a lot of effort went into the design - even if it is clearly inspired by one of the C64's most well-known platformers. Match-Buster was announced near the beginning of the competition, but Simon Stelling kept the game firmly under wraps until the deadline. 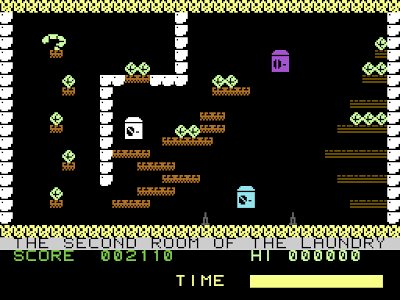 It may look like a bog standard mini Boulder Dash clone, but it actually features some really clever design mechanics borrowed and inspired from a variety of other games (including Pushcat and Portal), and even an attract mode showing how the game is played! 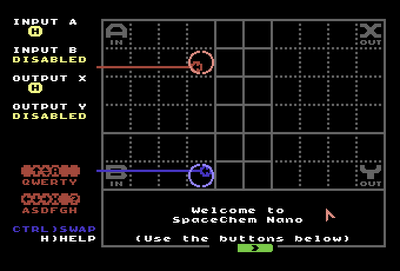 Already excellent, there's still a lot of blank space left in the 16KB rom for additional content making Match Buster another game that I hope will see further post-competition improvements. With its deliberately silly name, SOS left us guessing until the deadline as to what to expect from Monkey Eat Milkey, and hearing the news that Goin' Sideways artist Redcrab was involved only further whetted our appetite. 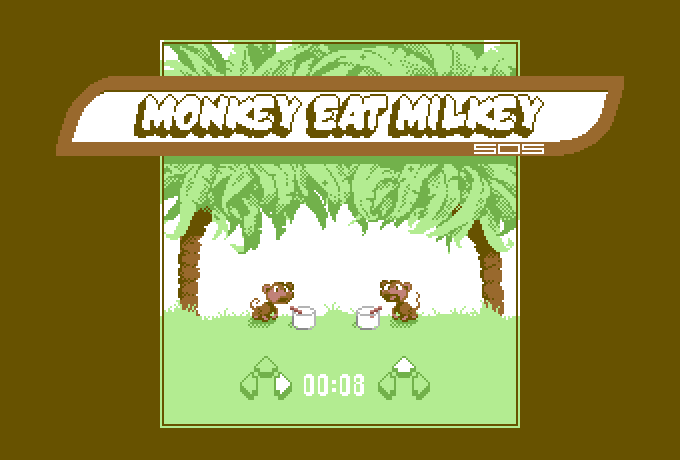 A noteworthy improvement over last year's Pong clone, Monkey Eat Milkey is a simple, fun and beautifully presented one or two-player joystick-waggle game, with players frantically pulling left and right whilst burping their monkey at set intervals. 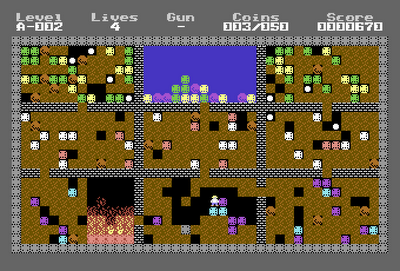 In addition to working on his main entry, Achim also packaged up his Seagull-vs-Sheep arcade game as a cartridge image when the competition was first announced. 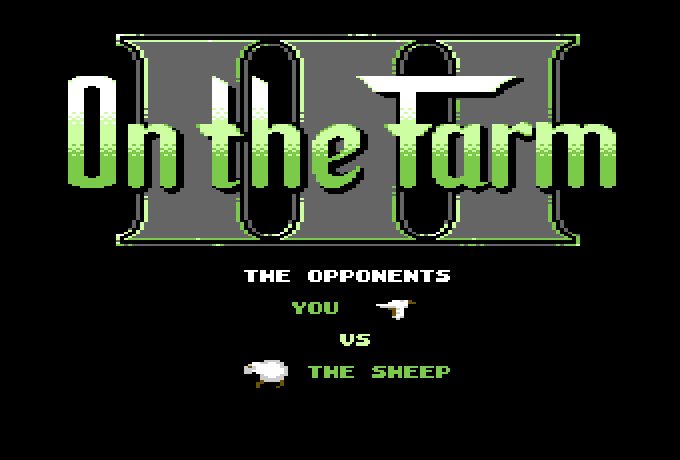 Defecating on sheep in order to protect a farmer's crop may sound like a questionable game design choice, but nonetheless you cannot deny that On The Farm III is both original in concept and fun to play. We knew that Achim was working on a tribute to the Atari 2600 classic Keystone Kapers, but when Rent A Cop popped into the RGCD inbox complete with a surprise soundtrack by glitch musician Goto80 our ears exploded with joy. Like the original, the game itself is very solid and hopefully we'll be able to negotiate a final cartridge release with Achim in the near future. Grab your nightstick and bash some burgulars! 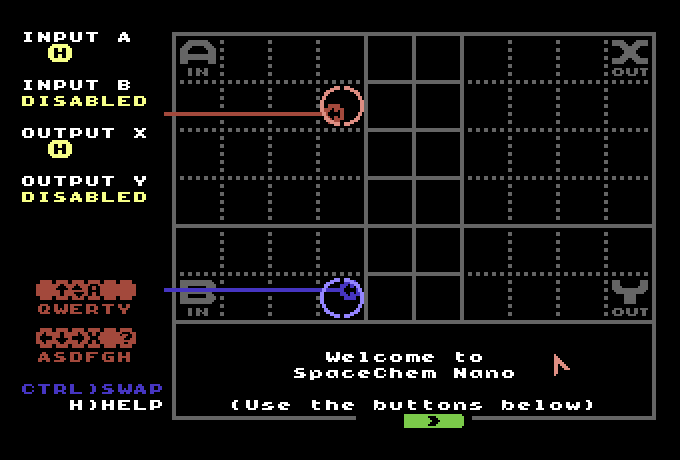 Joining the competition only a few days ago, P1X3L.net's conversion of complex indie-title SpaceChem may seem a little sparse, but there's a reason - it is probably the first and only game in about 28 years which is made for the Commodore Ultimax (a machine with only 4KB RAM, no Kernal, no Basic, no Font and no serial I/O). It seems the 16KB limitation wasn't enough of a challenge on it's own! 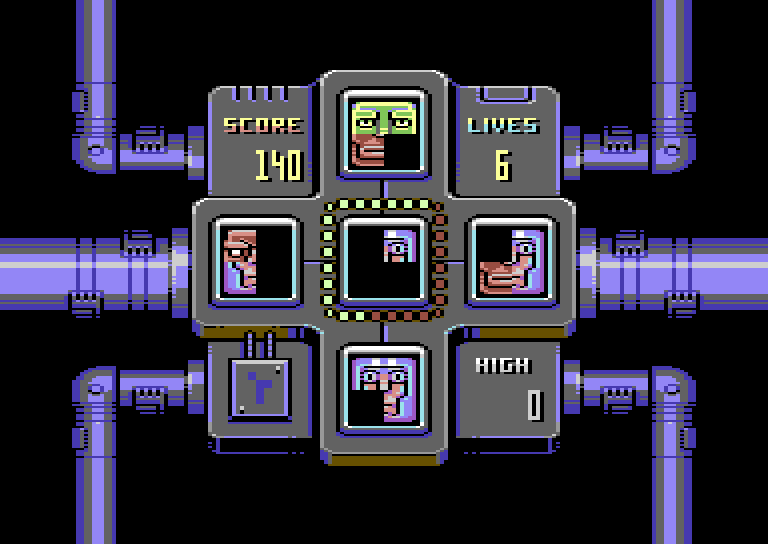 ALeX and Retrofan plan to continue work on a proper C64 version after the competition, and it will be nice to see this challenging and educational puzzle game reach it's full 8-Bit potential. Similar to Endurion and Achim, David's plan was to submit his Spike Dislike remake as a backup entry whilst he worked on another game, but sadly his stunning looking metroidvania wasn't finished in time. However, as a 16KB game Spike Dislike remains a respectable entry, despite the lack of any extra content. Here's hoping that David completes his other project in the near future! This is the game that a *lot* of you were waiting for, and although it's only the 16KB version (which is not exactly the same as the Play Expo Edition we featured a couple of months ago), it shows huge potential for the final, official 64KB Vlambeer release due next year. Paulko64 and Encore promised a faithful conversion in 16KB - and delivered. 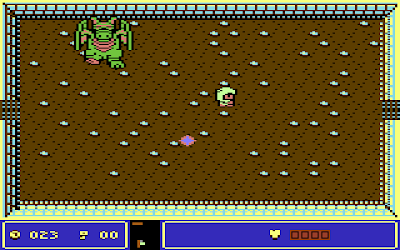 Finally, another late surprise - Endurion and Smila's Wonderland brings classic NES Zelda-style arcade adventuring to the C64 in 16KB! Featuring an insane number of locations (including an above-ground and under-ground world), boss battles, object utilisation and inventory, could Wonderland be the 2012 Fairy Well? All the above games can be downloaded in a single zip archive here. 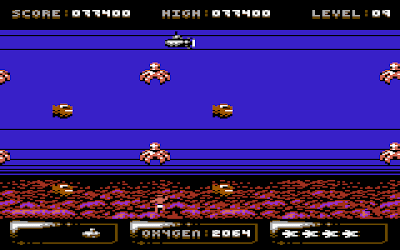 We recommend VICE if you are looking for an emulator to run the cartridge images on. Well, that's it for this year! The vote sheets have been sent off and if all goes to plan we'll have the final results ready to announce in two weeks time. Join us in having a beer and lets collectively raise our glasses to all the entrants who managed to beat the deadline! Good luck!